Food is essential for life. It also provides a sense of comfort and social connection. For some seniors, though, shopping for and preparing food becomes a difficult task as they age. But this doesn’t have to be a reason to give up independent living. 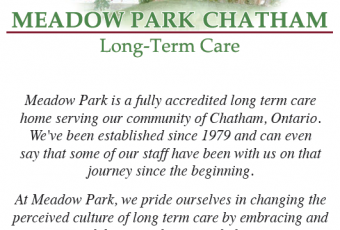 With services like Meals on Wheels, provided through St. Andrew’s Residence in Chatham, and the Frozen Meals Program, provided through Community Home-Support Assisting People (CHAP) in Chatham, people across Chatham-Kent have access to healthy food delivered by volunteers at a reasonable price. The food choices provided also cater to many specialty diets and restrictions. Regular volunteers get to know the clients on their routes and are often the ones who notice that something might be wrong with a regular customer — perhaps no one comes to the door, or the client complains about recent falls. The volunteers also provide a short social interaction with clients, which is important for people who may not be able to get out as much as they used to. A nutritious meal, on a predictable schedule, delivered by a volunteer who has their best interests at heart — now that’s feeding the soul, too. Longtime volunteer Gayla Cleeve agrees. “I started because I wanted to learn about volunteering and that was over 20 years ago. One of the biggest challenges is the misconception that you have to be very ill to receive Meals on Wheels services. Unfortunately, some seniors put off signing up for meal service until they are very unwell, which is sometimes too late because they are already in hospital or long-term care. Meals on Wheels and the Frozen Meals Program are available to anyone who is in need of a meal and who finds it challenging to prepare one themselves. 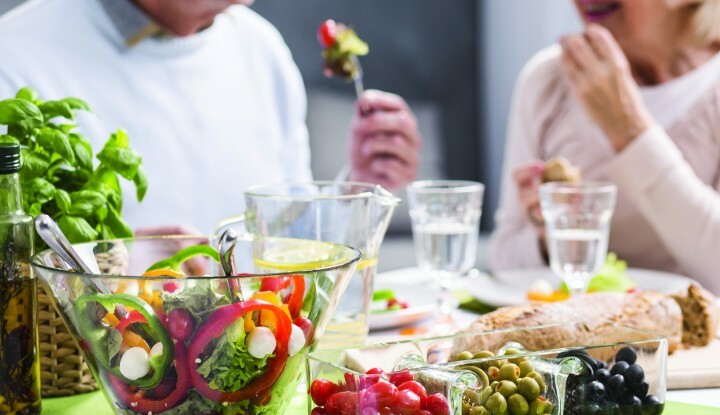 Maintaining good nutrition and starting a meal plan early on is a great way to maintain health and wellness, help people live at home longer, and maintain their vitality. 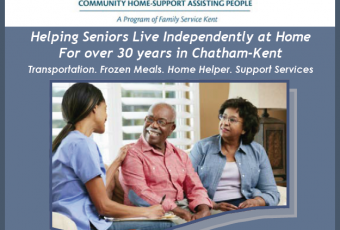 Meals on Wheels Chatham-Kent (519- 351-6325) and the CHAP Frozen Meals Program (855-437-5368) service the entire municipality of Chatham-Kent. This article has been written and submitted by: Erie St. Clair Local Health Integration Network, Chatham, ON.